Pearls are an accessory that never goes out of fashion, they are timeless, and so it is worth investing in this type of jewelry. In addition, to be the main detail if we want to get an elegant and mature outfit. Pearls can be worn at any time of the year, be it summer or winter. It does not matter where we wear them, bracelets, rings, earrings, necklaces … Everything is allowed. 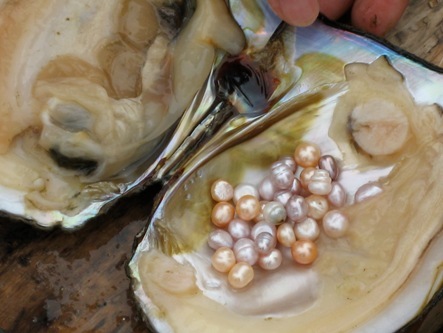 The stereotype of pearls is that they are only for mature women, but this is totally false. Currently, we can find infinity of models for all types of ages and tastes; everything will depend on the design. The most minimalist pearls are perfect for the young or older people; you can wear them for daily outfits or for the most important events, such as celebrations or weddings. They are indispensable jewels that cannot miss because they bring luminosity and elegance. 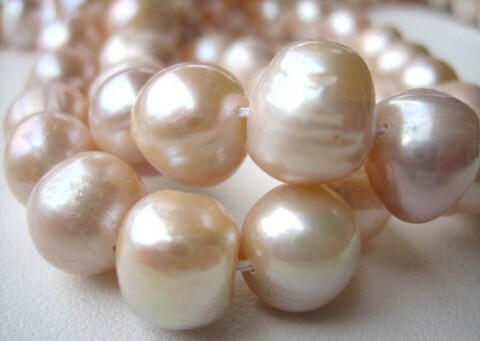 Bet on wearing pearls on earrings, bracelets or rings if you want a more youthful look. If on the contrary, you want a more sophisticated and mature style, the pearl necklaces will be your best asset. Also, you can choose a set that of earrings and necklace is the most used. This does not mean that the sets of pearls are not allowed for the most youthful outfits, the trick is to combine them with accessories or more casual clothes to contrast each other. To give a youthful look, the best are the short necklaces, choker style. 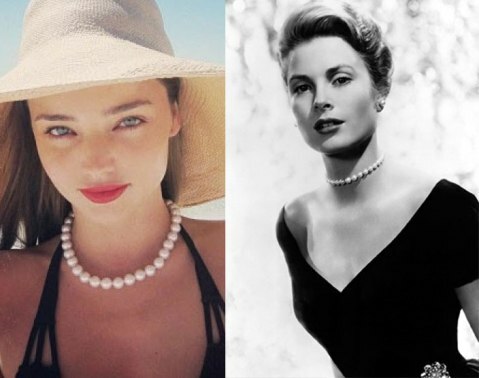 This advice began to be used by one of the most elegant women that ever existed, Grace Kelly, she wore it on everyday occasions, as well as the most formal ones, palace parties, meetings … Today, it is also an advice that follows the celebrities of today, like Miranda Kerr. The size of the pearl is important, the smaller pearls are perfect for a more simple and youthful outfit. Instead, the larger pearls will give us a more sophisticated and mature touch, ideal for job interviews, formal meetings, and serious events. If you see that the earrings or the pearl necklaces do not favor you, and you think that they give you a too mature style. We advise you to choose bracelets and rings with pearls. These jewels will give a touch of sophistication and elegance, without being thrown over years. The trick is to move the focus of attention away from the face, if we use rings and bracelets the focus of attention will not be our face so we will not spend years on it. The focus of attention is included in the wrists and fingers, so we advise you not to forget the manicure to get the most out of the jewels. There are simple jewelry, such as elastic bracelets, which are designed for day to day, instead, there will be other pieces with more sophisticated designs perfect for making shine on the most important occasions. The pearls are perfect to combine with monochromatic styles because they provide sheen and brightness; the perfect colors are red or black. Also, white pearls tonality perfect with white dresses, getting a perfect total white. Just take into account the hue of the dress and the pearls, if the dress is a broken white, choose pearls that have a white-beige, or yellow. 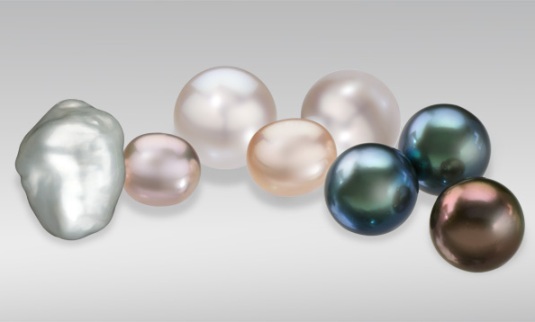 If the wardrobe is pure white, the best are white pearls. If the pearls are of another color, such as gray or pink, look for a wardrobe that contrasts with this color. Remember that the gray color is a neutral color so it combines perfectly with any other color.